Wine is one among the most basic party product. In almost all the parties you will find wine. But wine is a very delicate product and it needs to be stored properly. If the wine is not stored properly it loses the actual color and taste. And so it needs to be stored in a particular manner. Wine cellars are constructed to store wine. In wine cellars external factors like light, temperature and humidity are controlled. The main purpose of wine cellar is to maintain the actual taste, fragrance and colour of wine. The temperature and the humidity levels in the wine cellar are controlled with the cooling system. The cooling system in not like a household air conditioner rather it is completely different from an air conditioner. 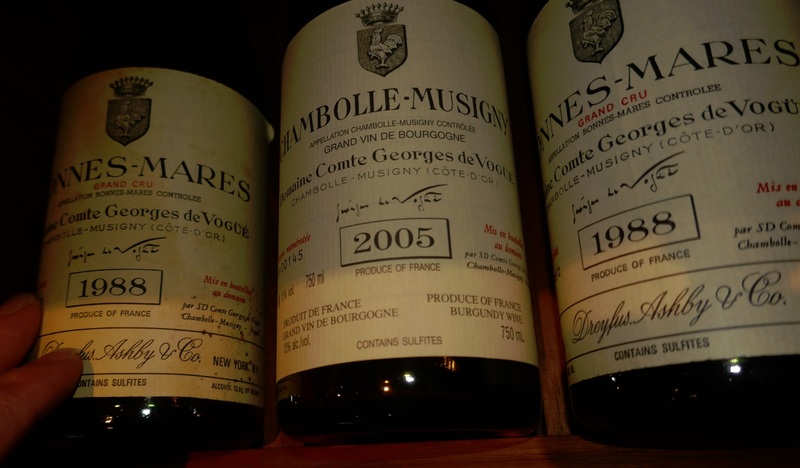 The humidity levels are only controlled in active wine cellars. In passive wine cellars there is no control for temperature and humidity. There are many other things which you many not know about wine. Wood is the most basic component which is used in the construction of wine cellar. Wood is used because it can undergo high humidity levels without getting damaged. So if you are planning to install a wine cellar then this article would help in choosing the right elements. Here we have the list of few things which you do not know about wood species. Wood is the most important component which is used in wine cellars. It is recommended to use wood everywhere. The floor of wine cellar is also made up of wood. Apart from the flooring, other things like racks and walls are also made up of wood. Wood is used because it is quite durable and it can tolerate the environment which is created in the wine cellars. As we all know that there are many types of wood present in the market. But not all types of woods are appropriate for wine cellar. Only some variety of wood is considered to be appropriate for wine cellar. Redwood, red oak, ash, alder, cherry, pine, mahogany and walnut are considered to be best for the construction of wine cellar. Pine is not reasonable in comparison of redwood and mahogany. And so pine is used almost in every wine cellar. Additionally pine is pretty light in weight and it is moderately soft. The texture of wine is also very attractive it gives a rustic look to the floor and the walls. Redwood is for eco friendly environment. Red wood is said to be a renewable, biodegradable and recyclable resource. Red wood is said to be eco friendly because it helps in creating a fresh environment. This wood absorbs all the harmful green house gases and thus makes the environment more clean and fresh. The color of redwood is dark and consistent. The outer diameter and the inner core have different tones of colour. Other factors which make redwood one among the most desirable are- it is compatible with humid environment. The wood has natural oils within it and these natural oils acts as a preservative. Redwood doesn’t decay and it is shock resistance. Last but not the least, it is non aromatic. Mahogany is also very famous and it used in variety of things like doors, furniture and floors. Mahogany is very durable; it can tolerate the effects of weathering, decay and warping. The stability factor of mahogany is quite high. Another major advantage with mahogany is that it comes in a variety of colors like light tan, beige, reddish brown, deep red and salmon colored. You can choose any colour according to your choice and color scheme. Moreover mahogany is non aromatic too. The names of different types of mahogany are genuine mahogany, African mahogany, and Malaysian mahogany. Genuine mahogany is the most expensive wood species. The intense color and unique texture makes it less economic. The attributes of African mahogany are equivalent to that of genuine mahogany. Malaysian mahogany is not expensive and hence it is economic. You can choose any of them in your wine cellar. Since each wood species has a different kind of quality hence you can choose the one which will fulfill your requirement. 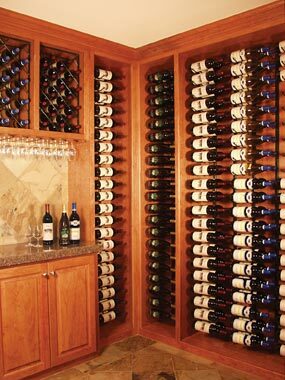 If you do not want to invest more money in your wine cellar then you can go for pine. Pine is the least expensive wood among all the wood species. You can also consult the wine cellar specialist about the design and other factors. The wine cellar specialist will suggest you the appropriate things according to your budget and requirements. Are These Your Favorite Wine Cellar Features? Welcome to Rosehill Wine Cellar’s blog where we share our creativity and offer insights into the best practices for storing fine wines. Our blog details how recent scientific advancements meet old world traditions in the wine cellars we design and build. We display our installations and reveal our inspirations as we extol innovation across the entire industry. Our original photos and authentic stories celebrate good wine cellar designs and wherever possible we showcase the work of our experts and their efforts to further the art and science of proper wine storage. Jeffrey Tunnicliff on Dom Perignon: The man, the myth, the bubbles!